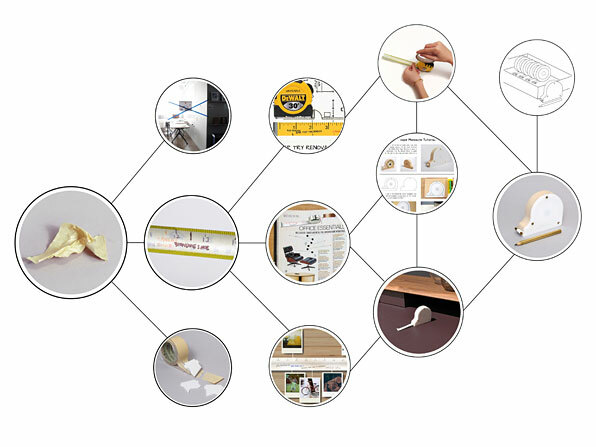 Through a series of sketches and initial prototypes, this concept was born by simply taking an existing tape measure and covering the surface with a piece of masking tape. This marriage of materials created an opportunity to add an element of permanence and storytelling—in distance as well as time. But what physical form could this idea take? : A D.I.Y. activity that transforms the functionality of an existing measuring tool for a period of time, and which could be easily returned to its original state once the intended purpose of jotting down relevant measurements was over. Think of it as a "hack" for creating a more useful tape measure. A series of advertisement mock-ups explored various brand alliances; was this a tape measure for someone doing a home renovation that would carry it around with them at all times, recording every inch of the project on this one tool? "Who would produce such an item?," asked Werbler, and married Stanley and Sharpie to create the ultimate measuring/recording device—a “writeable” tape measure. But what about users who wanted a more permanent artifact—a diary of measurements. 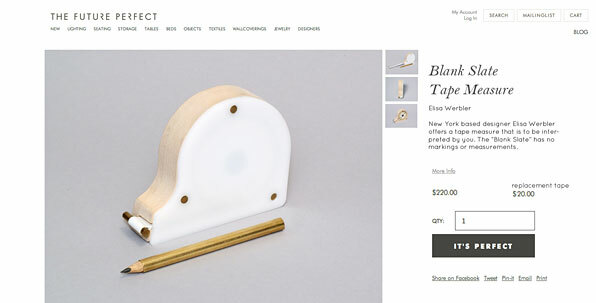 At the opposite end of the spectrum Werbler created a finely crafted tape measure constructed out of high-end materials like wood and brass, who's tape was completely blank. 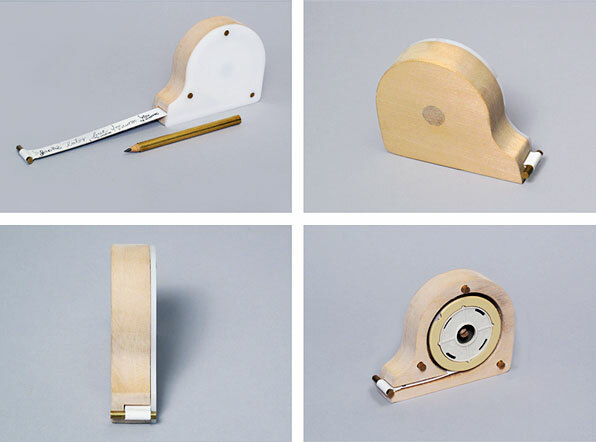 "With its intended use left to the user, this represented an instrument for recording not only measurements, but thoughts, ideas, memories and more; an artifact, a precious object—that would live on through generations as would a photo album or a home movie." And shown here, mocked up on The Future Perfect website to imagine its place in the world.